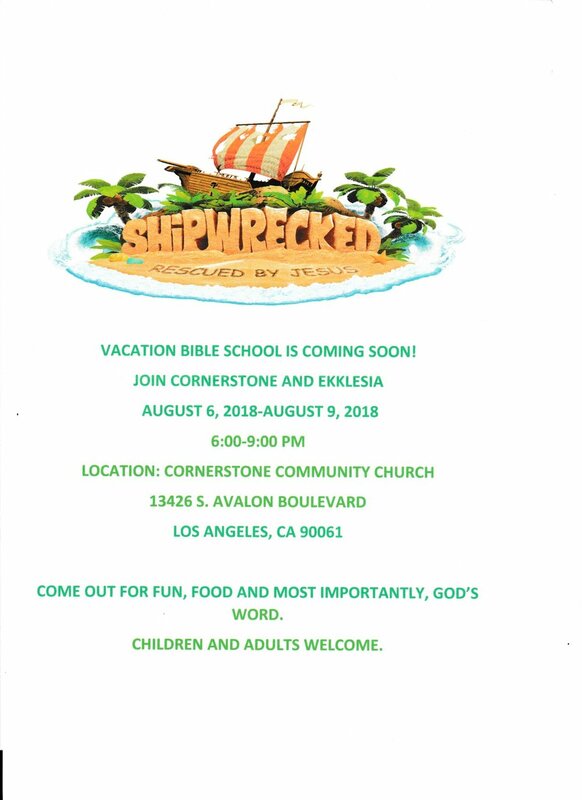 Cornerstone and Ekklesia joining together for another year of fun. Please come out and join us. The Evening meal at VBS will be from 6:00 - 6:45 pm. Cornerstone Community Church's 30th Anniversary and Thanksgiving. The countdown has begun and we are several months away from our 30th anniversary celebration. Soooooooooooooooo, please save this date and join us on Saturday, September 29, 2018 at 5 pm. The location: Ports O' Call Restaurant in San Pedro, CA. We will be using one of their private rooms for a buffet-style fellowship. Ticket cost and other information will come in the months ahead. Opportunities For All Of us To Help. Pray For, Support Financially, Or Volunteer At The Downtown Los Angeles Mission. Pray For, Support Financially, Or Go On A Missions & Ministry Trip Outside The United States. Pray For And Support Financially, The Starting Up Of A Youth Orphanage in Guyana, South America. For more details, please contact Pastor John Whaley. 8x20 storage container, metal tool shed on wheels, metal framing - needs cover. May Update: The container has been taken. The framing and the shed remain. 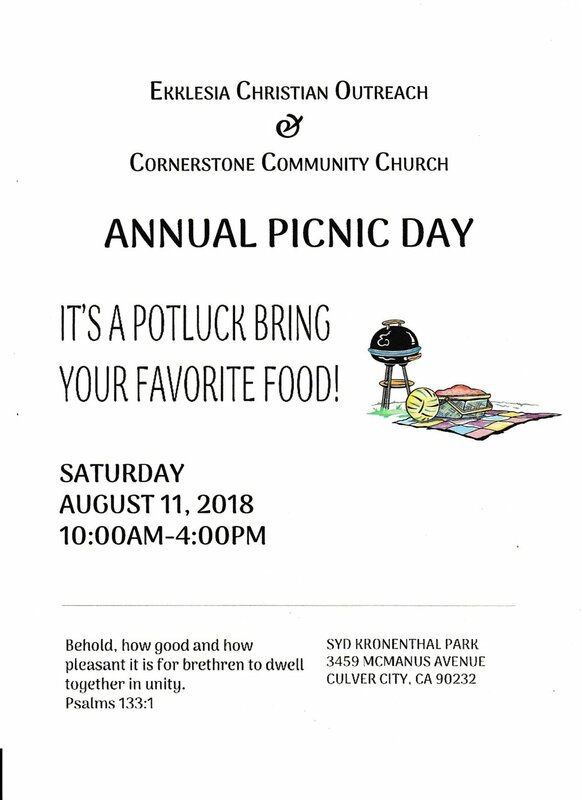 Please contact the church at 310-532-2342 and leave a message if you are interested in any of these three items. Thank you.